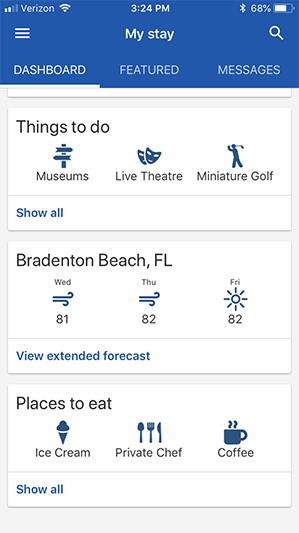 Now it is even easier to plan your dream Anna Maria Island vacation! Traveling with friends or family? 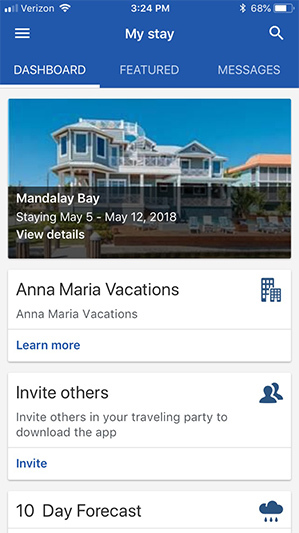 Easily connect everyone with our Anna Maria Vacations phone app. 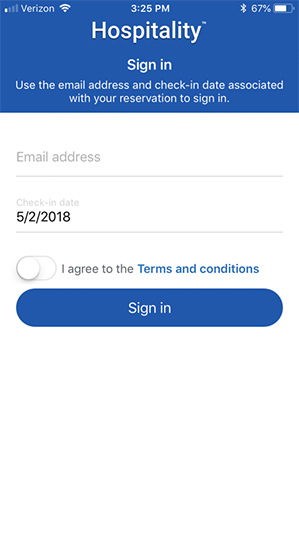 Share check-in information, property details and even make all your plans during your stay with the touch of a button. Download the app today for a completely customized one of a kind vacation experience. 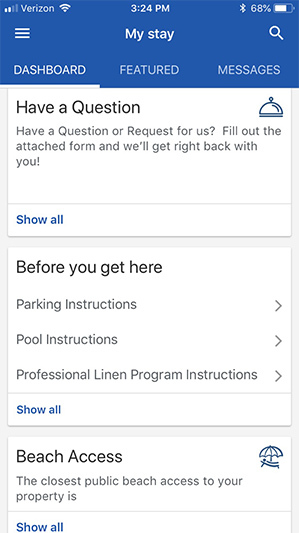 Our phone app allows you to easily share your booking information with everyone in your party, get specific instructions for your booked property and easily get in touch with our team should you need any assistance. Ready to book your property for next year? You can now even browse for your upcoming vacation and find your next dream rental!